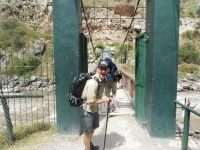 We had a great time on the trek. The views are spectacular and the team took great care of us. 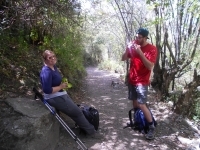 We had a great time on the Inca Trail. It's tough and physically challenging but the views get better every day and are spectacular. This was a great experience that allowed me to meet so many different people from all around the world and gain insights into what their cultures are like. 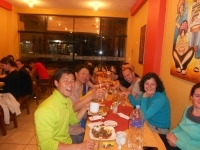 Our guide, Richard, taught us a lot about Peruvian culture while new friends from Switzerland, Ireland, England, and much more taught us even more culture! When the tour guide for our trip, Richard, told us from the start that we would become family by the end, he was right! 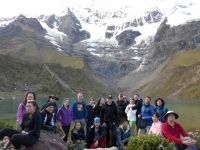 After hard days of trekking through the picturesque Peruvian mountainside, we all got to know each other very well and bonded through this wonderful experience. The trip start with a long bus ride from Cusco, about 2 hours long. It start with a moderate hike for about 2 hours. We hike to a lake after the lunch. Lunch time was late so prepare to have some snacks in your bag. I decided to do this trip spontaneously and I don't regret it at all. 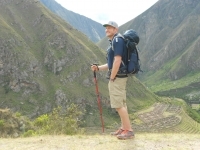 The vistas are incredible, the Inca sites are inspiring, and the trail is challenging enough to feel accomplished. I had the opportunity to participate in the 4 day Inca Trail trek in Peru and can honestly say that this experience blew my mind!!! 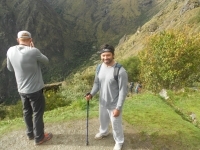 I had a blast hiking the Inca Trail with Gerson as our guide. The trail itself was doable though challenging in some places. The greatest hike of my life! I always wanted to come see Machu Picchu. 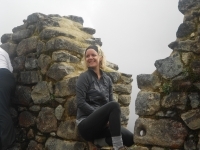 When I signed up for the Inca Trail I didn't know what I was getting into. This has been one of the greatest experiences of my life. There are now words to describe this experience. It was one of the most challenging but rewarding things I have ever done! I've traveled quite a bit, but never have I experienced such an amazing adventure. 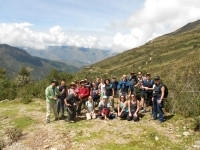 Trekking through jungle, mountain peaks, terraces and Inca sites all added to this experience. 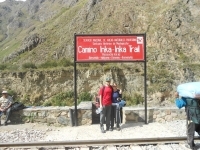 We loved our adventure on the Inca Trail with Gerson. 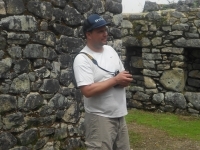 He was the best guide I have ever had. He was very knowledgeable and very friendly. He truly was the best, most skilled guide I've had. The trip was once in a lifetime! The whole thing was planned so nicely! The porters were so sweet and humble. The food was delicious. We honestly felt like we were royalty because they treated us so good! We can't thank you enough! 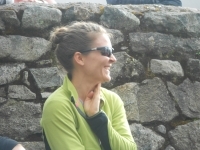 I did the 4-day hike on the Inca Trail with 8 great friends. Our guides Gerson, Juan Carlos and Ana Maria were the best! Our cooks and porters were awesome too! The trip started with high expectations and I was not disappointed! Every detail was covered by the tour provider.